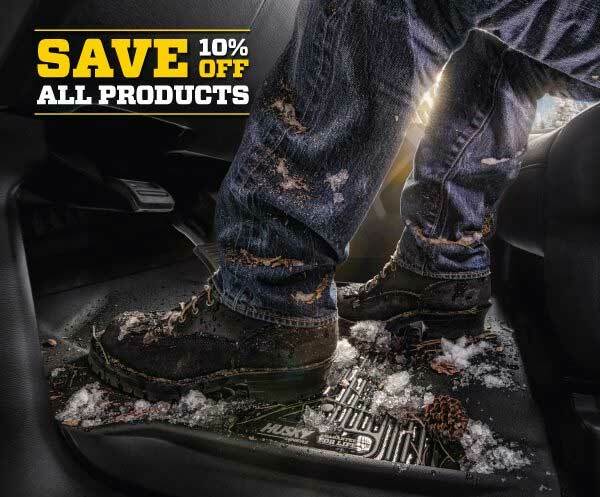 Get 10% off all Husky Liner's products from 1/22/2019 to 2/12/2019. The discount will be applied to your order automatically when you add the items to your cart, so no coupon codes or rebate forms to worry about. Plus, you still get free shipping on orders within the continental US that total more than $100! Can't go wrong with that! Up to $100 mail-in rebate on qualifying T-REX product purchases! $25 REBATE on purchases totaling $250-$499; $50 REBATE on purchases totaling $500-$749; $75 REBATE on purchases totaling $750-$999; $100 REBATE on purchases totaling $1000 or more. CLICK HERE for rebate form and offer details. Offer valid from 2/1/19 to 2/28/19. Must be postmarked by 3/15/19. Allow 4-6 weeks for delivery. Offer valid in the USA and Canada. Rebate will be paid in US dollars. Limit one rebate per household per promotion. Rebate based on T-Rex branded products purchased on a SINGLE INVOICE. Excludes tax, shipping or other charges. Cannot be combined with T-REX issued online coupons or promotions. Earn a $75 mail-in rebate when you buy a Complete ZROADZ Front Roof Kit! Go to www.zroadz.com/rebate for complete details and rebate form. Offer valid from 02/01/19 to 02/28/19. Must be postmarked by 03/15/19. Allow 4-6 weeks for processing Offer valid in the USA and Canada. Rebate checks will be paid in US dollars. Limit one rebate per household per promotion. Include the original UPC label off of the box for every ZROADZ product purchased. PO Box not accepted, must include a physical mailing address. Get up to a $200 rebate on Omix-ADA family products! Eligible brands include Rugged Ridge, Omix-ADA, Alloy USA, Outland and Precision Gear products. Minimum total retail purchase requirements (per single invoice) of $149.99 Order total can be a mix of all eligible brands. Click here for a rebate form and offer details. Offer valid from 1/1/19 to 12/31/19. All qualifying parts must be on ONE INVOICE. Tax and freight charges not counted toward rebate. Must be postmarked within 60 days of the original purchase date. Allow 8-10 weeks for delivery after rebate end date of each claim. Valid to residents of 48 continental US states, Alaska, Hawaii and District of Columbia ONLY. Consumers allowed up to 10 rebates per household during the promotion dates.